Formal reports are created to capture the most important aspects of a project or investigation. They often include an executive summary, research findings, insights,conclusions, proposals, and next steps. Reports are also used to pitch an idea for a product, service, or system. 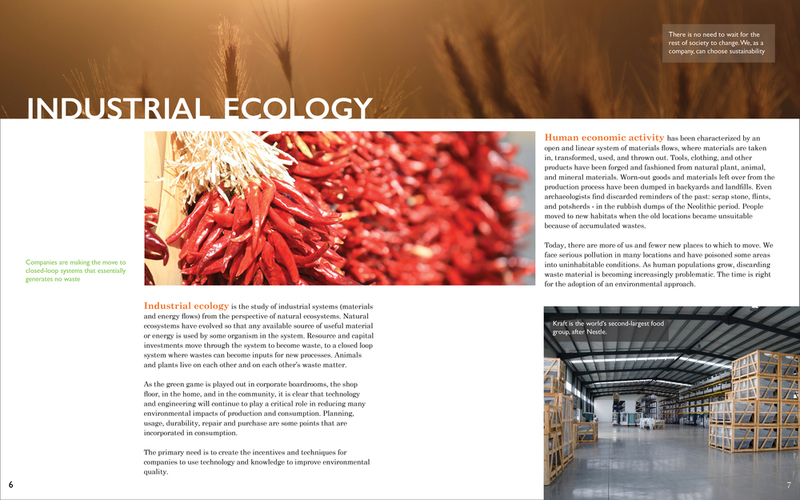 For the Interaction Design Fundamentals course at CMU, I had to design a formal report on industrial ecology. I picked Kraft Foods as my intended client. The book was designed to cater to two stakeholders within the organisation, the Manufacturing Department and the Purchasing Department. 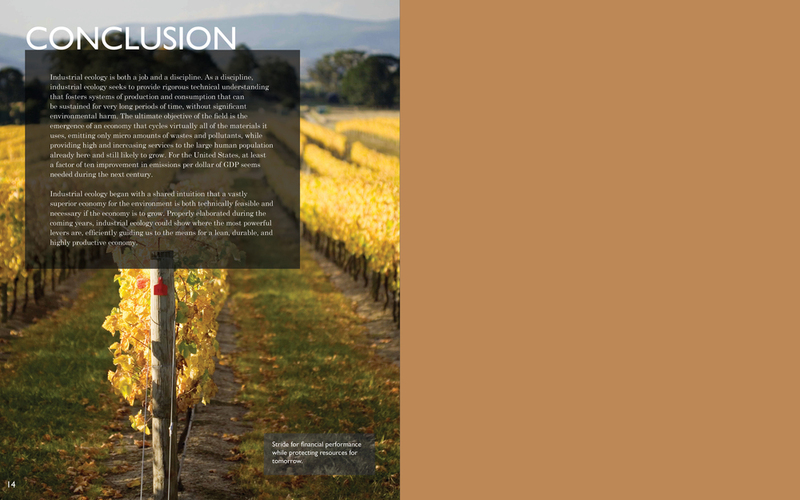 The objective of this project was to interpret the content given and modify it to suit the needs of multiple audiences. I went through many iterative designs. I was striving to create effective communication through the typography, grid layout, color palette and images. The reason for doing this is so that a person who skimmed through would get the gist of the report. Kraft Foods was an American manufacturing and processing conglomerate headquarted in the Chicago suburb of Northfield, Illinois. It recently completed its merger with Heinz creating the fifth largest food and beverage company in the world, Kraft Heinz Company. Manufacturing Department: The primary concern for this section of workers would be to assess the reusability of their supplies, the energy consumption and conservation opportunities. Purchasing Department: The report should cater to the primary concern purchasing department would have i.e. 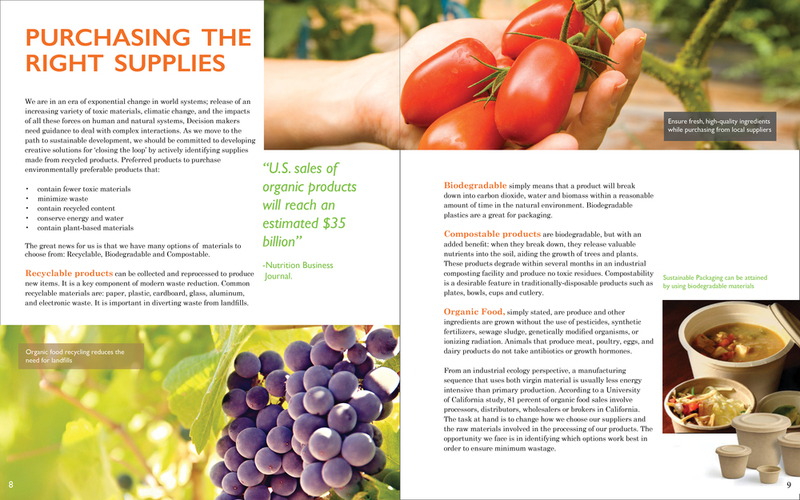 the raw materials/supplies that are required to move to a sustainable future.